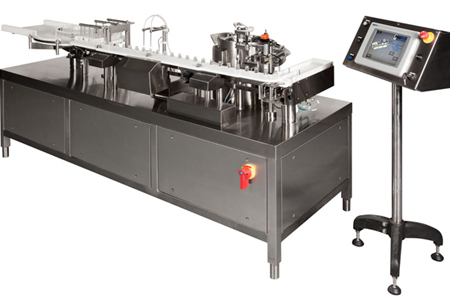 The FS(C)-series is comprised of single and dual filling and stopper-inserting machines, with or without the capping function, and is designed for 2ml to 100ml vials and offers an output of up to 200 vials per minute. The compact in-line design features Allen Bradley components and is equipped with servo-motors. Format changeovers are highly automated using PLC-stored recipes per vial format.